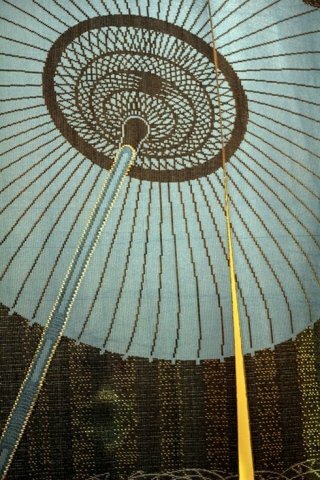 Shiro was born in 1946 in Japan, in the province of Nagano. He studied Japanese cuisine at the Tsuji Culinary Institute in Osaka. In 1972 he moved to Italy. After working at a Japanese restaurant in Rome, he opened his own restaurant in Milan in 1989. 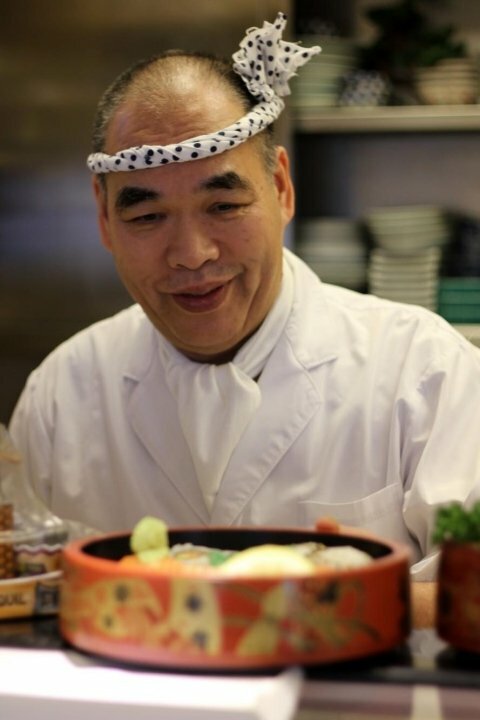 He is currently the owner and head chef of both "Poporoya" and "Shiro". Shiro had already expressed an interest in the idea of working abroad, due to the fact that one of his relatives was working in Paris. With this in mind, Shiro received the following suggestion via his school (the Tsuji Culinary Institute in Osaka): "Italy has an excellent culinary tradition, wouldn't you like to go there to learn?" This suggestion originated with the owner of a Japanese and an Italian restaurant in Rome, and his proposal was, in a nutshell: "Why not come and work at the Japanese restaurant while studying Italian food?". Back in 1972, the head of the Tsuji Culinary Institute warned Shiro: "Italians are very conservative when it comes to food, so you must be aware how difficult it will be for Japanese cuisineto catch on over there". At that time French cooking was very popular in Japan, while Italian cuisine was largely unknown. Italy was known as the country of haute couture, but if you asked the vast majority of people about its food they'd probably say something like: "Well, pizza is very good, isn't it?" and little or nothing else. In 1972 there were very few Japanese people living in Italy, and even fewer Italians with a taste for Japanese food. They were quite rare. But at that time, when more and more Japanese people were starting to think: "I'd love to travel abroad", it was not unusual for Japanese tourists, attracted by high class fashion, to travel to Italy. At a time when foreign travel was still very expensive, Japanese tourists arriving in Rome tended to be very wealthy, and often made up the majority of the clientele in the restaurant where Shiro worked in Rome. 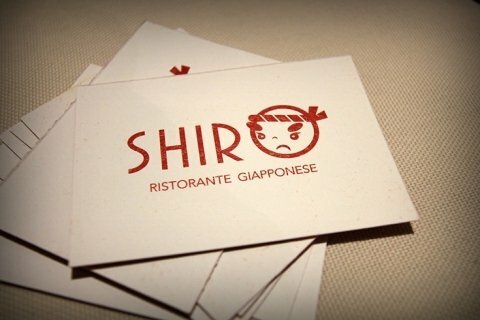 In 1977 the owner appointed Shiro manager of his Milan branch, which he ran for 12 years until 1989, when he bought the premises and became a restaurant owner in his own right. This was the venue that was to become the "Poporoya" restaurant in via Eustachi. However, due to the difficulty of obtaining a restaurant license at the time, Shiro initially had to be content with managing the Poporoya Japanese grocery store. The authorisation to operate as a restaurant was a long time coming, the paperwork had to be repeated several times, and the health authorities didn't issue the permit until March 1989. This was the year that Shiro finally became an independent restaurant owner, after having earned his spurs during twelve long years as a take-away cook. In fact, many of his clients from those days are still regulars at Poporoya today. Those regulars will remember some of the unusual places customers would find to eat Shiro's take-away sushi (like sitting on top of the store refrigerator, etc.). Many Japanese businessmen who were regular visitors to Milan in the eighties still visit the restaurant today, with a look of nostalgia in their eyes. Since Japanese restaurants were few and far between at the time, Shiro enjoyed the support of large numbers of well-wishers. This made Shiro even more determined to obtain the restaurant licence, whatever the cost, declaring "I must have it". Despite earning a modest income, some Italian customers would visit the restaurant once or twice a week. When it became apparent that Shiro was going to have to increase his prices, he mentioned this to his customers, but many of them replied: "I don't earn very much. If you raise your prices I won't be able to afford coming to eat here". At this point it was the customers to ask Shiro: "How much do you want to increase your prices by anyways?" "I was thinking of raising "sushi mori" by 1000 lire." This set something of a precedent, and since then, Shiro has always attempted to tailor his prices to the needs of his clientele. Shiro prepares his sushi in Jumbo format, which means that a plate of "sushi mori" (mixed sushi) is sufficient to satisfy a typical Italian appetite. Shortly after arriving in Italy, when Shiro was still used to preparing Japanese-style portions, an Italian woman remarked: "Young man, you're a bit stingy aren't you?" "I love sushi, but I can't afford to eat as much as I'd like if the portions are so small"
The next time she visited the restaurant, Shiro made sure she was served larger portions, and she left satisfied, declaring: "Today you treated me well!!" It was then that he began preparing sushi in Jumbo format. Italians don't like "chirashi sushi" if it hasn't got any fish in it, so Shiro also began to put fish under the (sushi) rice. 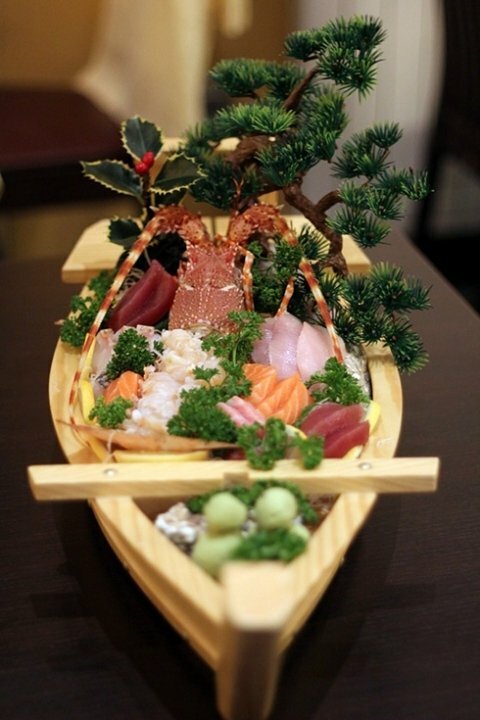 In the beginning, "Chirashi sushi" wasn't popular with Italians, but now everyone orders: "Chirashi, chirashi!!" Shiro even used to prepare "kaiseki" dishes on demand, using ingredients that were almost impossible to get hold of in Italy, such as "natto", "satsuma age", "konnyaku", "miso", "shumai", "harumaki", "kamaboko", "mentaiko", etc. At the time in Italy, even a single "daikon" cost so much that he used to go to France to buy them, keeping them to be used as necessary, and sometimes having to throw them away when they went bad. Italy is a rice producing country, but the rice it grows is suitable for risottos, not Japanese food. Nowadays you can even find Japanese rice in the supermarket, but at the time he was forced to use risotto rice for preparing sushi. Italian rice grains tend to separate from each other, so this type of rice is not suitable for Japanese cuisine. So Shiro imported rice seeds from Japan and tried growing them in the rice fields of northern Italy. Unfortunately, in Italy, rice planting and cultivation techniques lack the delicacy necessary for producing the Japanese varieties, which meant that for the first three years, despite using specially produced types, the rice crop was fit for use only as pig fodder. A quantity of rice sufficient to fill a pickup truck changed hands for no more than 5 litres of wine. Her husband soon returned though, this time on his own, and repeated: "I'd still like to try!" He tried some tuna and he loved it. But Shiro knows. He knows the difference between the Japanese customer who says: "Excellent", and the Italian who says that he thinks that the food is excellent. And this is why, when Italian customers visit his restaurant for the first time and say "Good! ", Shiro replies: "It can't be good (you can't possibly like it)!" However, Shiro's longstanding Italian customers are a demanding clientele who have come to understand the flavours, and consider themselves to be "sushi connoisseurs". This also means that they how know to order different things. There are also some people who ask for strange or even non-existent things, coming out with Japanese phrases like: "Make me a salmon yakitori please." Shiro has a fine sense of humour and likes nothing better than a joke and a laugh with his customers who, in turn, feel free to enjoy themselves and talk freely about whatever comes to mind. Friendly banter fills the air and the venue has a reputation as a fun place to meet. The atmosphere at Shiro's makes one feel immediately at home, which is why many customers are happy to come alone. In fact, people who come to dine alone often wind up sharing a table with other customers. One day, an Italian who lives opposite Shiro's and enjoys his view told him: "Why does everyone start chatting so much when they leave your place?" and, for some reason, it seems that couples often stop outside Shiro's to whisper sweet nothings to one another. Many customers say they love the venue for its familiar and seemingly disorganised atmosphere. For the Japanese, the place has its own nostalgic charm, whereas for the Italians its popularity is down to the simple setting that allows you to enjoy a traditional Japanese experience. There was a time several years ago when Shiro thought about closing up and moving to larger premises, but the locals began to implore him: "Please don't close!" To which Shiro would reply: "But why? Wouldn't it be better to have a larger establishment?". But his Italian customers insisted: "It's perfect just as it is. A familiar atmosphere, and so Japanese". Customers can always be seen queueing patiently outside the restaurant while they wait for a free table. Shiro can never fully express his gratitude to these customers. He knows his regular customers' tastes. He doesn't need to be told when to hold back on the "wasabi", leaving just a small quantity on the side of the plate. Wasabi is something of an acquired taste for the Italian palate. Every so often someone will unknowingly pop a large quantity into their mouth, and literally jump right out of their chair! It's one of those flavours that you either love or hate. Something that puzzles is me the way Italians use soy sauce: first of all they practically fill the plate with it, and then they eat sushi that has been literally drowned. Upon seeing this, Japanese customers sitting nearby have been heard to murmur iritatedly: "Don't they know how valuable soy sauce is?!" At one point Shiro began experimenting with smaller saucers for soy sauce, but his Italian customers began to complain that: "These saucers are no good because you get sauce all over the table". They tend to drench even the rice in soy sauce, but when Shiro attempts to point out the error of their ways, customers will invariably stop him in his tracks by replying: "I like it like that!" A customer who was asked why he was dipping his sushi in the miso soup also replied: "Because I like it", so obstinately that all Shiro could think to say was "Ah!!" Another came to Shiro defiantly claiming, "I eat raw fish", but as soon as he took his first bite you could see the terror in his eyes. That particular customer showed up one morning with an air of conviction, declaring: "I definitely want to try it today". As if to say, "If everyone else likes it then why shouldn't I?" But after just one bite it was as though he had been paralysed! There are Italians who drop in to Shiro's before leaving to tell him: "I'm off to Japan in a few days". Shiro's restaurant actually plays an important role by helping to raise awareness of Japanese culture among Italians. Shiro is also the president of the Association of Japanese restaurants in Milan. In order to promote understanding of the wonders of authentic Japanese cuisine among Italians, all the operators in Milan's Japanese catering sector collaborate together, performing food hygiene and quality controls, rigorously selecting ingredients and - each according his skills - preparing the very best in Japanese cuisine. This is the main objective of the Association. Shiro is very happy when he hears Italian people say that they love Japanese cuisine. His great desire is to help the Italian people really get to know Japanese food. But that's not all, Shiro has not forgotten the ex-pat Japanese community, and he strives to ensure that his sushi, and Japanese cooking in general, can go some way to alleviating the hardships of being so far away from their homeland. Shiro also plans to continue doing his best to promote cultural exchanges between Italy and Japan.